Intransigence is not an attractive quality in anybody — and it’s no way to build a company culture that thrives on change. The intellectually curious are people who take nothing for granted and naturally spend a good bit of their time learning new things. In a business context, it could refer to leaders who ask a lot of questions, demonstrate a genuine interest in their people and what they do, and work always to expand the horizons of their own minds and abilities. In other words, it’s part of cultivating an example worth emulating. If you’re always learning, your people will want to do the same — and they’ll naturally find ways to push the envelope and find all of those big and little opportunities to move everybody forward. Your company probably already has a few methods up its sleeve for rewarding employees who succeed. Maybe it’s pizza parties, gift cards, primo parking spaces, or — for even bigger wins — raises and promotions. But how do you reward failure, and why would you even want to? For a start, some of history’s best ideas came out of failure. Post-It Notes, Silly Putty, Slinkies, chocolate chip cookies, and even pacemakers were invented essentially by accident. Google has a whole lab devoted to failure. They’re not actively pursuing failure, of course — but they engage in unrepentant creativity and work on “half-crazy” ideas until something sticks. As a leader, you need to find a crowd-pleasing way to provide incentives for thoughtful ideas that didn’t quite pan out, while still managing poor performance when it’s warranted. Finding that balance will help you build an environment where people are unafraid to try new ideas — and where, more likely than not, those ideas will lead to worthwhile and meaningful change. Believe it or not, “willingness to take risks” is probably something you should emphasize more during recruiting. It’s also one of many valuable “soft skills” your organization should be hiring for in addition to and potentially even instead of experience, in many cases. The list goes on and on. Some of these might be more directly related to the work you do than others, such as negotiating or expressing oneself in writing. But most of these are simply the mark of a well-rounded individual, who prizes progress and change, and precisely the kind of person you want climbing the ranks. Speaking of new horizons: Does your company encourage employee development? Do you know what that would even look like? One way to begin is to ensure your organization offers access to books, whitepapers, courses, online and offline training, and possibly even tuition reimbursement for those who want to pursue more formalized learning. Gallup polling from 2016 found that 87 percent of millennials want their jobs to be opportunities for personal and professional growth. This dramatically outpaces the number of Gen Xers (44 percent) and Boomers (41 percent) who said the same. 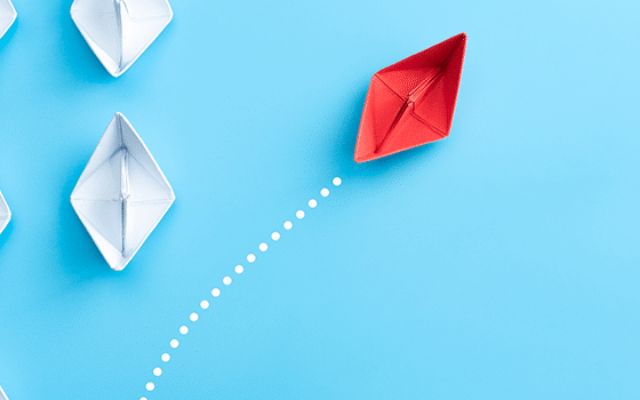 These folks are the future of your organization — and they’re the ones who will help you build a culture that’s amenable to and enthusiastic about change in all the right ways. Finally, we come to the idea of feedback. There’s been a lot of polling on the subject and many op-eds written about it. Some say millennials want more feedback in the workplace than they tend to receive. There are dissenters, though, who say it’s less about feedback and more about cultivating a more genuine dialogue between employees and leaders. Is there force in the universe that helps us anticipate, prepare for, adapt to, celebrate, and weather changes, better than dialogue does? In fact, don’t call it dialogue at all, but rather collaboration. What we’re really talking about here is a way to break down the invisible walls between individuals, no matter their “rank” or “team.” There’s no magic bullet for feedback, and you can definitely forget about that frankly condescending “feedback sandwich” you might’ve read about. Just talk. Everything changes, all the time. And every organization and workplace needs to accept this. That means engaging with one another regularly, openly, and honestly, and taking a genuine interest in helping each other grow.